Mildred Kiff Lowe Staton, 90, passed away on Monday, October 22, 2018 at Countryside Village in Pikeville. Mildred was born in Brantley’s Grove, North Carolina on February 13, 1928 to the late Carroll Jordan Lowe and Joanna Kiff Lowe. She was married to the late Dr. Thomas Earl Staton who preceded her in death on July 7, 2011. 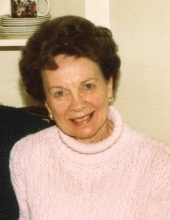 Mildred was devoted to her church, First Baptist Church, and was involved in many activities where she utilized her gifts and abilities to share the love of God. Her most significant role in life and what she did best was being a loving mother and grandmother to her family. She is survived by her daughters, Carolyn Wood and husband Joe of Elon, NC and Mary Kay Wells and husband Dave of Clinton, NC; son, Thomas Earl Staton, Jr. and wife Susan of Raleigh, NC; and grandchildren, Joseph Wood and wife Christine, Rachel Coombs and husband Cody, and Melissa Staton. To send flowers or a remembrance gift to the family of Mildred Lowe Staton, please visit our Tribute Store. "Email Address" would like to share the life celebration of Mildred Lowe Staton. Click on the "link" to go to share a favorite memory or leave a condolence message for the family.